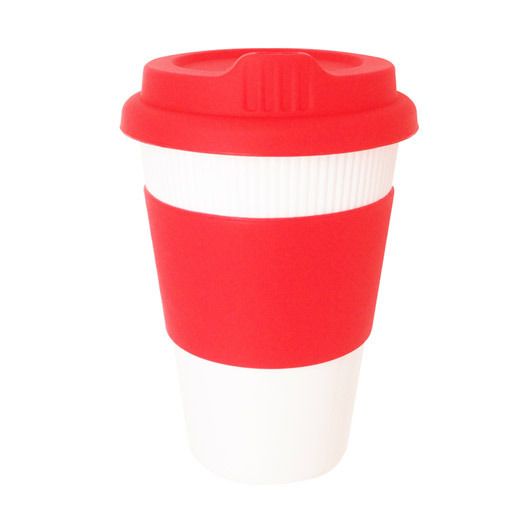 The larger sized alternative to the popular Eco Kuppa. 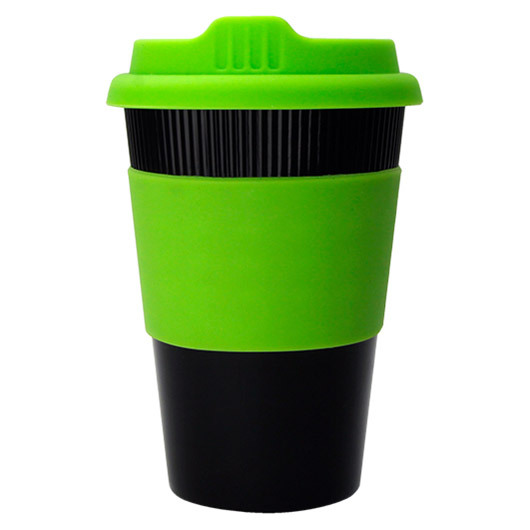 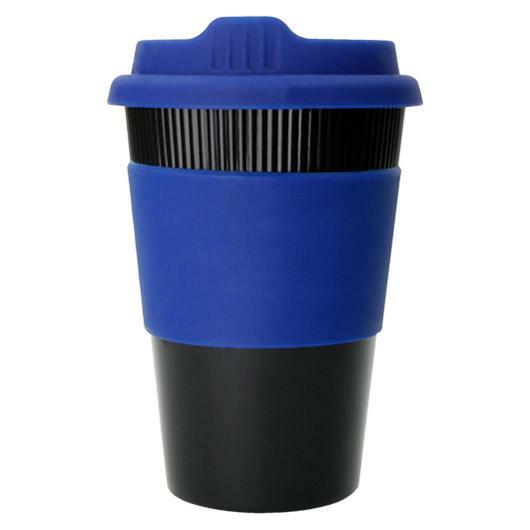 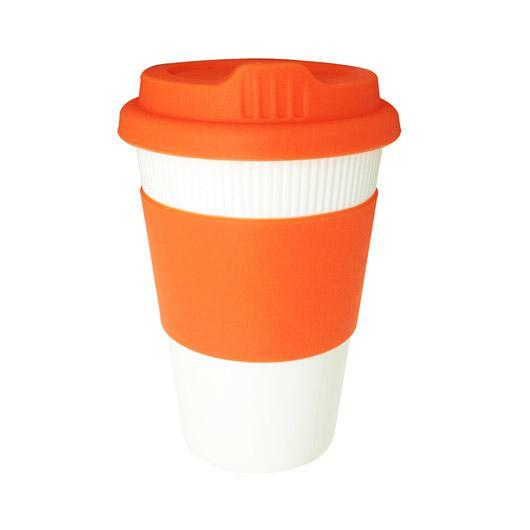 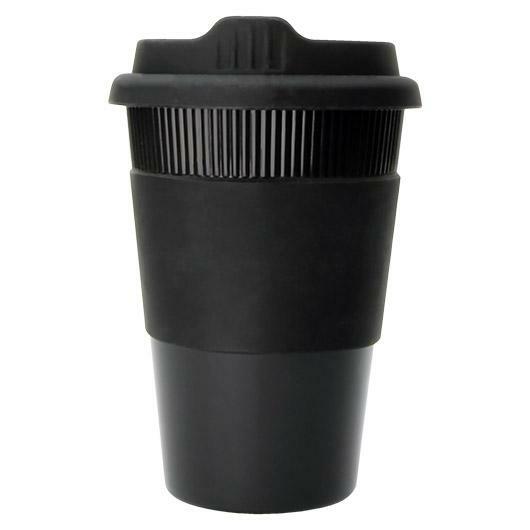 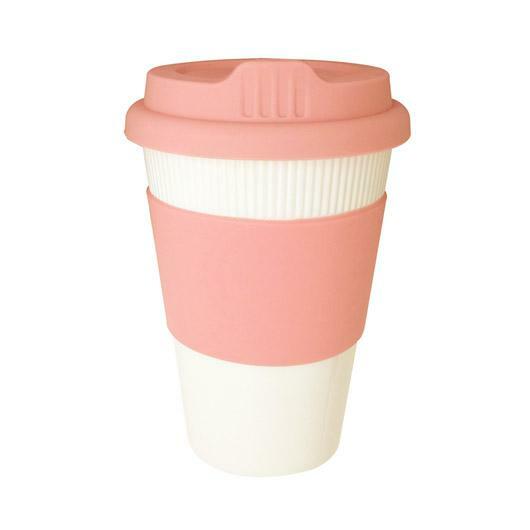 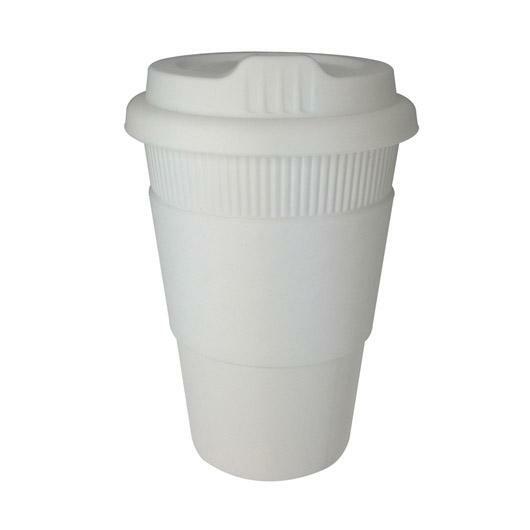 Reuse and reduce waste with some help from these promotional re-usable coffee cups! 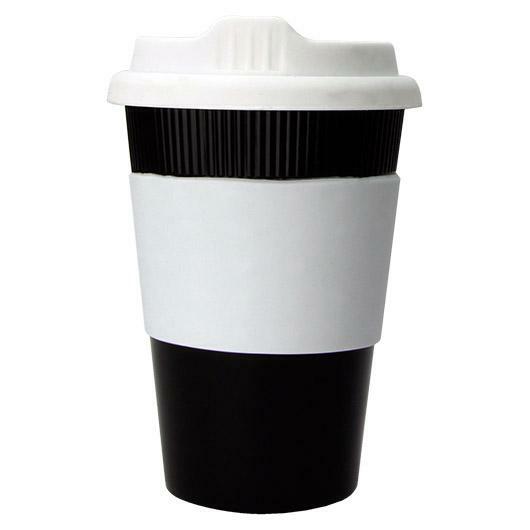 They have a 12 Oz capacity and come in a white or black plastic cup with coloured silicone bands and lid. Mix n Match colouring on silicone may be available - ask us! 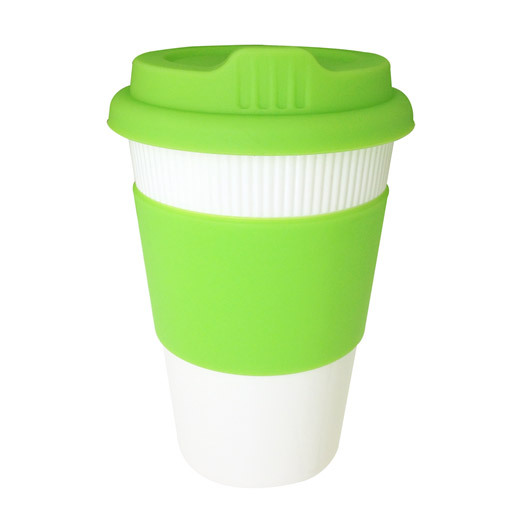 The silicone used is European standard and the cup is 100% BPA free. 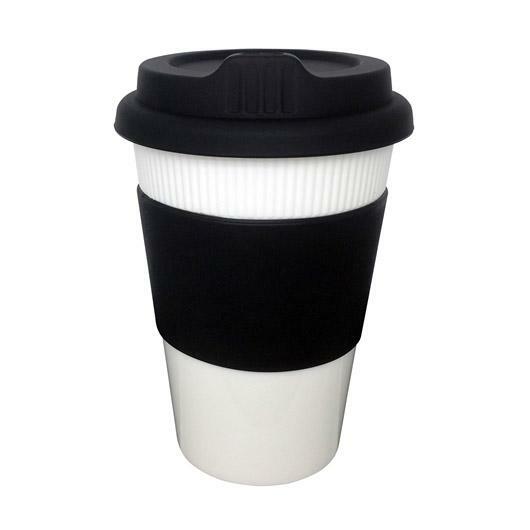 The lid also features a spill stopper feature.